Note: This article is for use by Billing Administrators or those club members that handle billing and invoices. 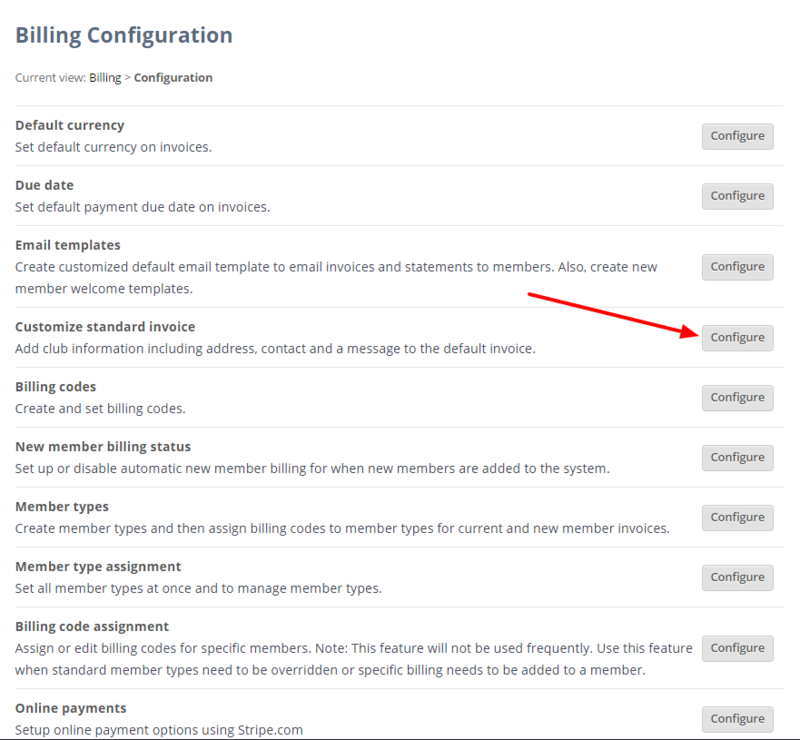 You can add club information including address, contact and a message to the default invoice. 4. 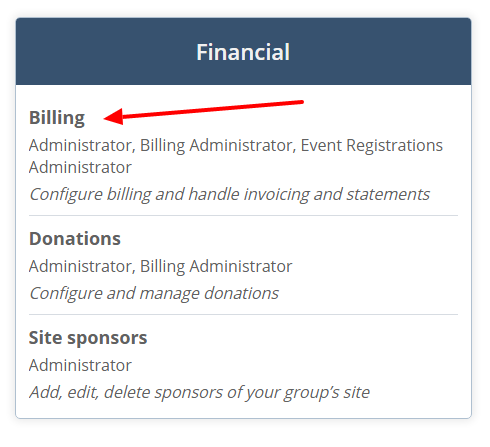 On the Billing Configuration page, locate Customize standard invoice then click the Configure button. 5. Fill out the required fields. 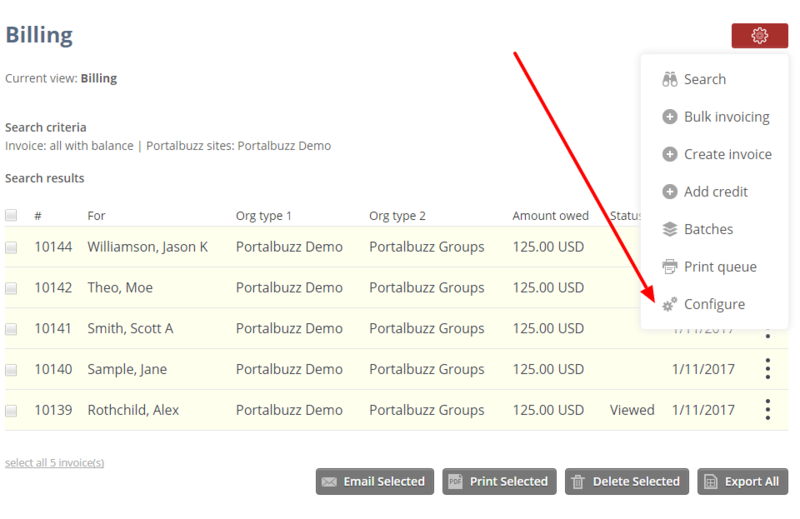 You can add your organization name and address, company logo and a message to the default invoice. 6. Click Save & return to configuration button to update the information and go back to the Configuration page.